It is the Max Jeep made by HULAS Corporation in Biratnagar. This machine is sold more than 300 units. 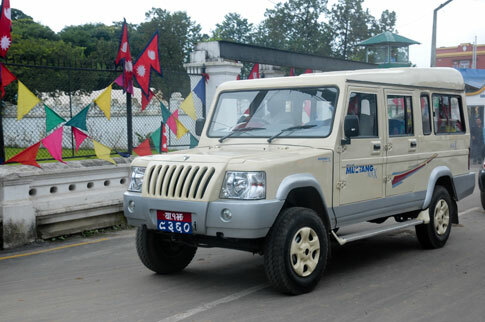 These automobiles in Nepal are designed to be appropriate for the mud trails and bumpy terrains in rural areas. Beside with the equipment that reduces noise, the Advance Mounting System minimizes the shaking of body, making traveling through a rough terrain feel comfortable. The manufacturers have increased the length of the jeep, making it able to accommodate 13 passengers. 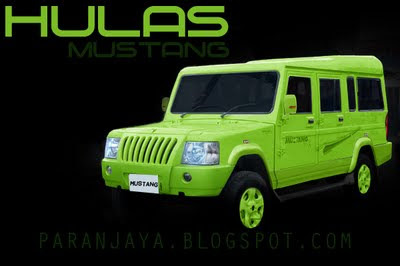 Mustang jeeps are available in four models —Max - 13 Seater, Max - 11 Seater, Pickup and Ambulance. 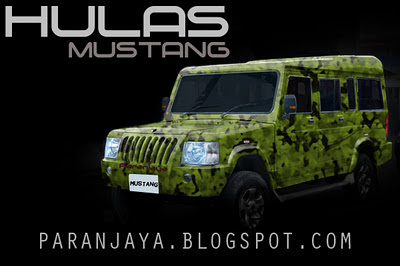 Hulas Motors Pvt Ltd that started 12 years ago has been producing Sherpa and Mustang jeeps widely used across Nepal.